If you are looking for a Bellflower property Management company to manage your residential or commercial invest property then RTI Properties Inc. can provide the right Bellflower property managers for you. With over 30 years of property management in Bellflower, CA our team of highly skilled property managers and support staff are dedicated to to providing the very best Property management services in Bellflower and throughout Southern California. Our property managers bring a variety of different skills and experience in managing various types of properties including apartment property management, residential or commercial property management, property leasing services and more. We are proud to be able to provide all of our clients the complete range of property management services. Our comprehensive advertising and leasing services includes advertising your vacant property, processing rental applications and screening likely potential clients and the explaining and overseeing the signing of leases. Here at RTI Properties Inc., our property management team will evaluate your property and make recommendations on how you can improve the safety and attractiveness of your rental property. As your Bellflower, CA property management team we oversee the daily operations of your rental property. Our services include frequent maintenance inspections, repairs, and handling tenants’ questions and complaints. We scrupulous maintain all records related to your investment property and prepare monthly reports so you are kept informed on the financial health of your property. We inspect your property both when old tenants vacate and prior to the available of new tenants as well as making repairs and preparing your property for the arrival of your new tenants. When we hire third party vendors to make repairs of your property we keep a record and contact information on all the vendors and contractors we use. Here at RTI we understand the local, state and Federal laws regarding Bellflower, Ca rental properties and make sure your property is compliance with those laws. Here at RTI Properties Inc., we use a combination of standard and innovative techniques to advertise and market your Bellflower, CA property in order to create as much interest as possible among potential renters. Our Bellflower property managers thoroughly screen any potential tenants checking financial and employment history as well as references from former landlords. We take special pains to ensure any tenant we place in your rental property will not only be able to pay their rent on a regular basis, but will also take care of your property. If you need help negotiating an agreement between you and your new tenants then we can help with those negotiations. If you own an apartment building or complex then you know there is a lot is involved in the logistics of people moving in and out of your apartments. Here at RTI we handle all of the logistics of those move ins and moves outs. We make frequent inspections of your rental property to ensure it maintained to the highest standards. We also make sure that any necessary repairs are made quickly at the lowest possible cost. Our highly skilled property management team will collect those rental fees for you. We also take care of sending out those late rent notices in a timely manner and collecting those late rent fees. 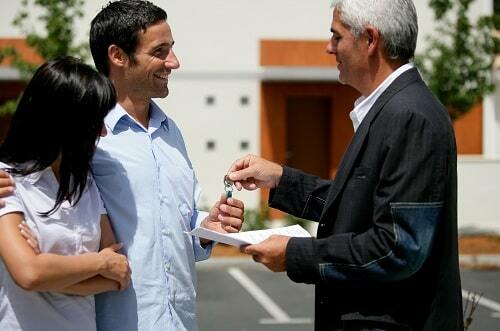 As part of our Bellflower, CA property management services we write rental leases and addendum. Here at RTI we will do a market analysis of your residential property to determine the best rent value of your rental property. Our skilled Bellflower property managers will make suggestions for low cost improvements to your property that will allow you to charge a higher rent. Our accounting staff will prepare a budget for your property’s expenditures and send accurate accounting reports of your property’s income and expenses. RTI Properties is always a call away to provide you emergency response and recover from adverse incidents. Our experts are always ready to respond in a coordinated, timely, and effective manner to emergency situations. Here at RTI we also provide management and consulting services for HOA and Condominium boards. We focus on building long term relationships with our HOA boards of directors. 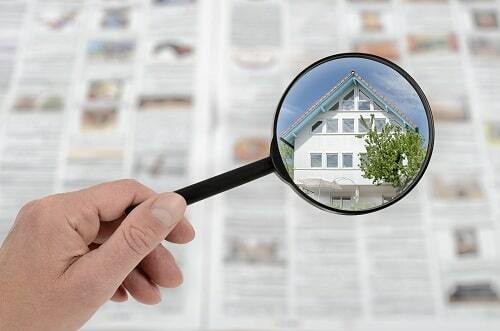 Our Due Diligence reports includes marketing recommendations, property spending budgets, plans for future property enhancements, detailed lease audits, expense and earning records, and our maintenance inspections for each and every one of your properties. As part of our property management in Bellflower, CA we do everything possible to assess your risk liability for your rental property and find ways to reduce that risk to protect you the landlord. We here at RTI have vast experience in managing a variety of commercial rental properties including retail, office and Industrial properties. No matter what type of commercial property you own we can manage every aspect of that property for you overseeing every last detail from advertising and marketing your property to maintaining and repairing your property and everything in between. Here at RTI we have property managers and staff available 24/7 to take care of your property management needs. We provide our staff with ongoing support to ensure every one on our team provides you with consistent high quality services. Screening our potential staff helps us to provide you with the high quality services you deserve. Our Human Resource Department provides ongoing support to both our clients and our staff. We also offer payroll services to our clients who wish to use those services. We provide complete accounting services for your Bellflower property and send monthly as well as yearly reports so you are constantly apprised of the financial health of your property. We have developed employment policies and procedures to ensure you receive consistent services from our entire staff. We periodically review those policies to ensure they help our employees meet our goals. Our employee handbook is designed to serve as a guide post for employees so they can continue to provide you, our client with highest quality services possible. 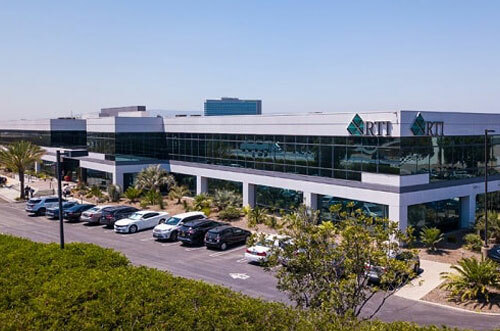 Here at RTI we make frequent maintenance inspections to ensure your property is well maintained as well as seeing that janitorial services are up to par. Our Bellflower property managers are ready and willing to help you negotiate your building service contracts. We are constantly looking for new technological solutions to help us improve our overall services to you. Here at RTI we offer a number of security solutions to keep your tenants and property safe and secure. If you have a property that employs doormen or janitors we can ensure that your employees have proper uniforms and supplies to make the right impression for your tenants. Having the right property insurance is a fundamental part of our risk management services for your Bellflower property. Bellflower property management risk analysts have expertise of insurance and our insurance contacts help us to manage your liability risk at a lower cost than you might expect. We have spent more than 30 years building a sterling reputation in the Property Management field. Our highly skilled and trained professional staff is dedicated to providing the highest quality services to our clients on daily basis. Our property management team makes frequent inspections of your property to ensure your property is well maintained to ensure the value of your property is protected. From presenting you with suggestions for property improvements to help command the best possible rental rates to screening potential tenants, we provide you with the best rental rates and highest quality tenants of any property management company in Bellflower, California. Here at RTI we use both traditional and innovative methods to market your property both locally and Online to create interest in your vacant properties. Our Bellflower, CA property management company provides a number of benefits for our home owners while meeting your tenants needs to ensure that they want to continue their long term occupancy. From our high quality maintenance services to our short and long-tern plans for home owners to improve their property we can help you enhance the value of your property. We use every legal means at our disposal to reduce your taxes so you get the maximize possible income for rental properties. We use low pressure methods to enforce the rules with tenants who are reluctant to comply with the rules set forth in the lease. Bellflower is the lovely city located in the southeast Los Angeles, CA in the Metropolitan Area. It has a total area of 6.2 square miles(16 sq km) with a population of 77,790 with the median resident age of 33 years. However, the population density of this city is 12,698 per sq mi. The affordability of this city housing marketing could be estimated by the overall cost of living by what percent of monthly income is spent on housing. The median income in Bellflower is $78,702. Similarly, the median home price in this city is $514,800, and that of the median rent is $1,440. Bellflower Medical Center is the top employer in Bellflower, CA. 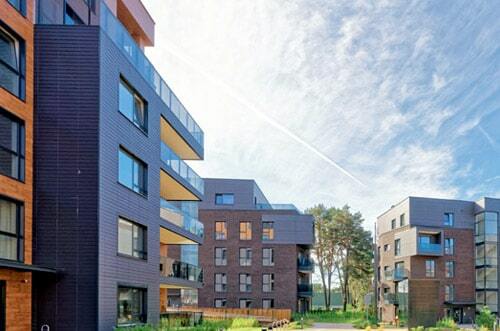 There are around 24,897 housing units at an average density of 4,034.9 per square mile. Renters make up 56.6% of the population, and 6.4% of apartments and homes are unoccupied. Bellflower is the most beautiful and exquisite suburb that is growing and growing day by day. You can find abundant of homes, condos, and apartments of all sizes and shapes. The schools here are exceptional in quality education and offer great test scores. Overall, this city is the best place to live.